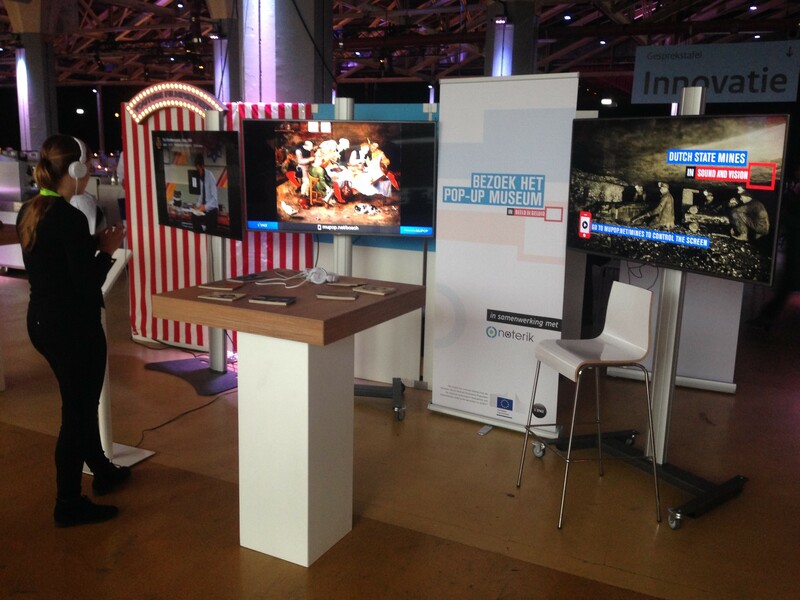 After accomplishing the task of creating 6 thematic Pilots to showcase creative reuse of digital cultural heritage, E-Space partners wanted to do more and remix the Pilots’ ideas and outcomes in an innovative product, using multiscreen technology, which can be used to create interactive and integrated virtual exhibitions: the Pop-Up Museum. 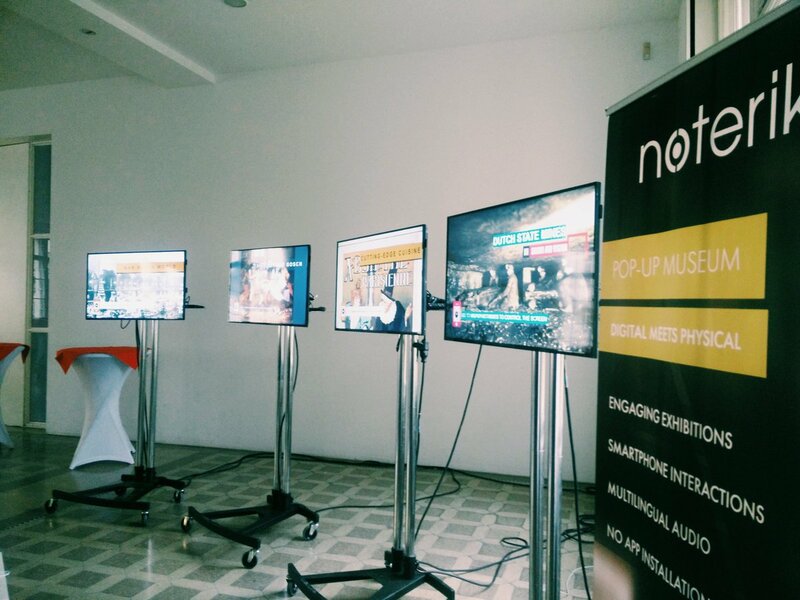 The Pop-Up Museum, which is a hybrid of both a digital and physical museum exhibition, is a way to showcase many of the prototypical ideas that have resulted from E-Space Pilots. 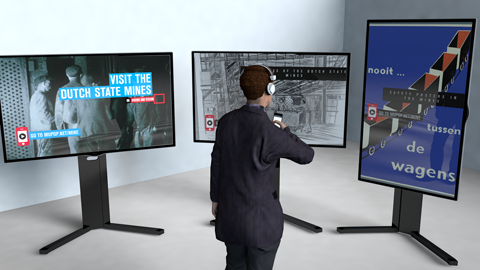 The exhibition can be controlled and interacted with by the visitors through a smartphone: answer questions, swipe through content, explore the storyline, select languages, and more interactive applications will be available. 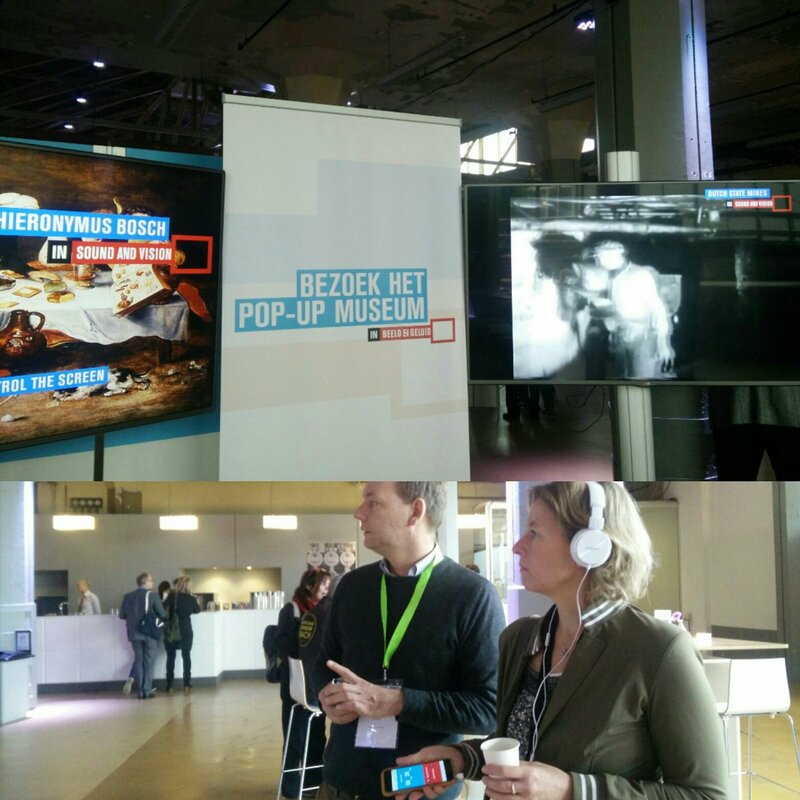 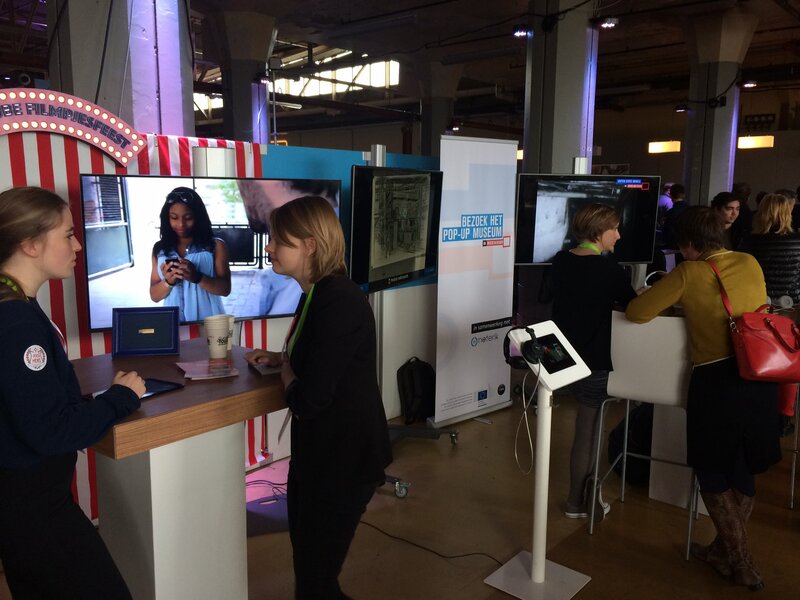 The Pop-Up Museum serves as an ideal extension to the main museum: use the mobile installation at events and festivals where you would like to target a specific audience with your collection. 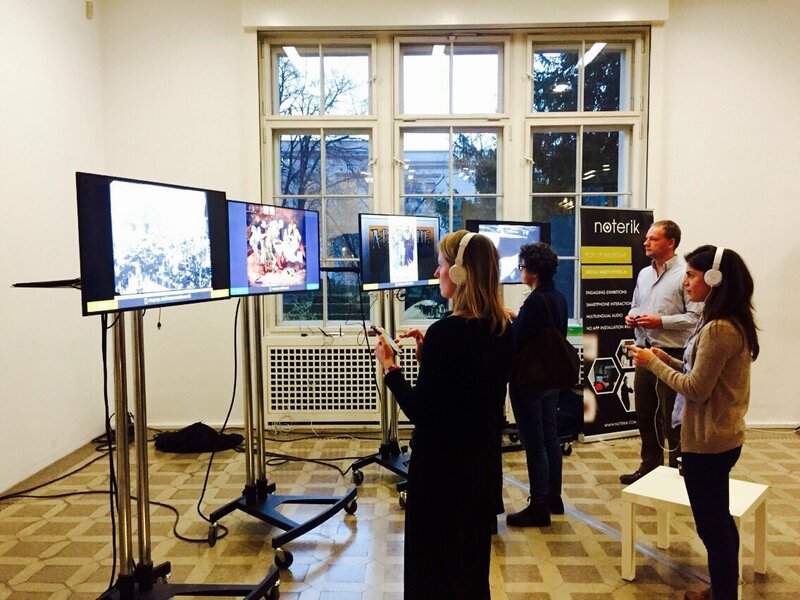 The Pop-Up Museum premiered at Cultural Heritage: Reuse, Remake, Reimagine conference in Berlin, and was displayed in other public occasions. 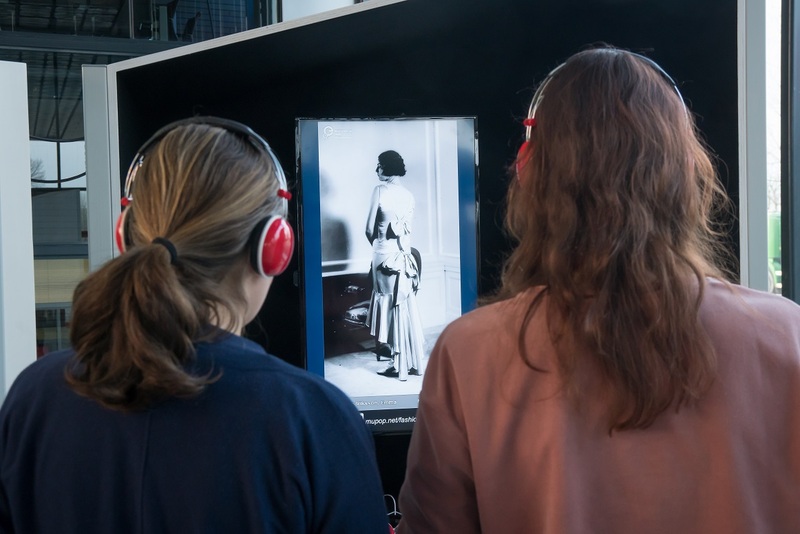 an exhibition about Fashion, realized in cooperation with Europeana Fashion.